Caution: This page just contains works of "anomalous motion illusion", which might make sensitive observers dizzy or sick. Should you feel dizzy, you had better leave this page immediately. 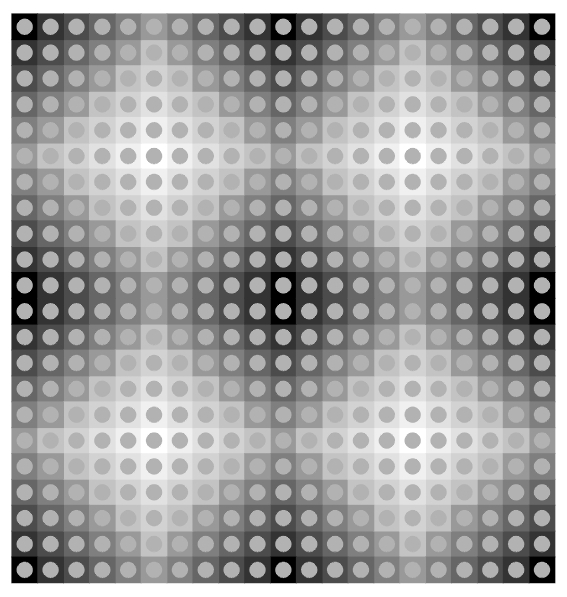 The middle rows appear to move leftward. Elevators appear to move up and down. 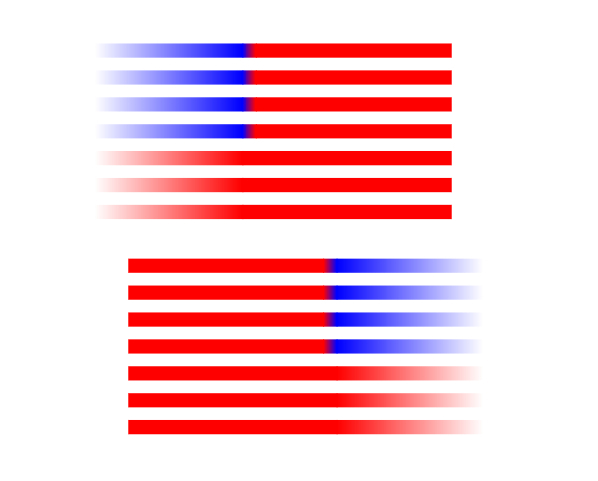 The upper flag appears to slide rightward while the lower one leftward. 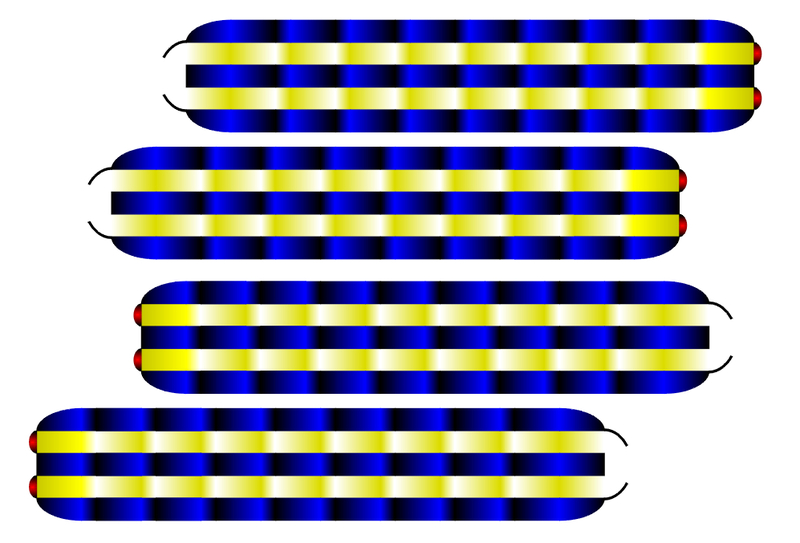 The black-and-white stripe appears to expand laterally. 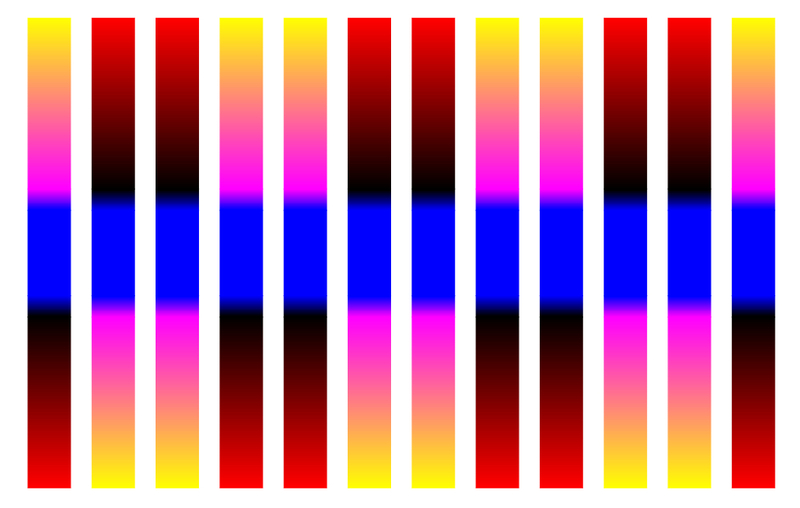 The upper bar appears to slide leftward while the lower one rightward. 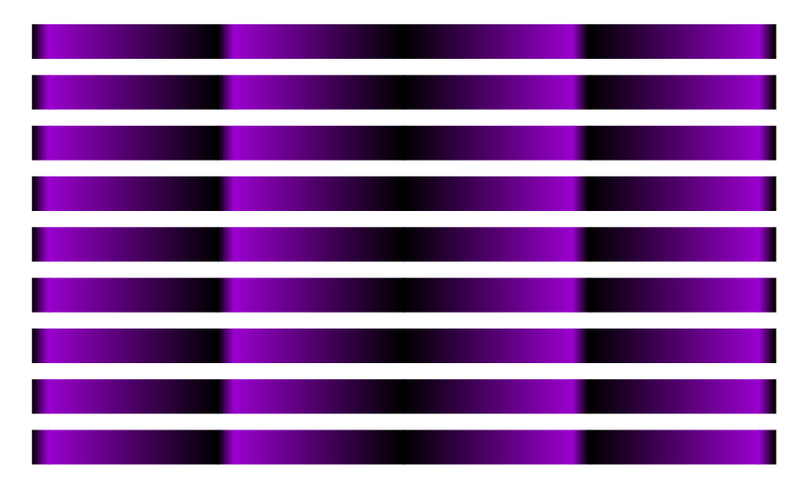 "Gold bars" appear to slide horizontally. The door appears to keep closing. The bridge appears to move. 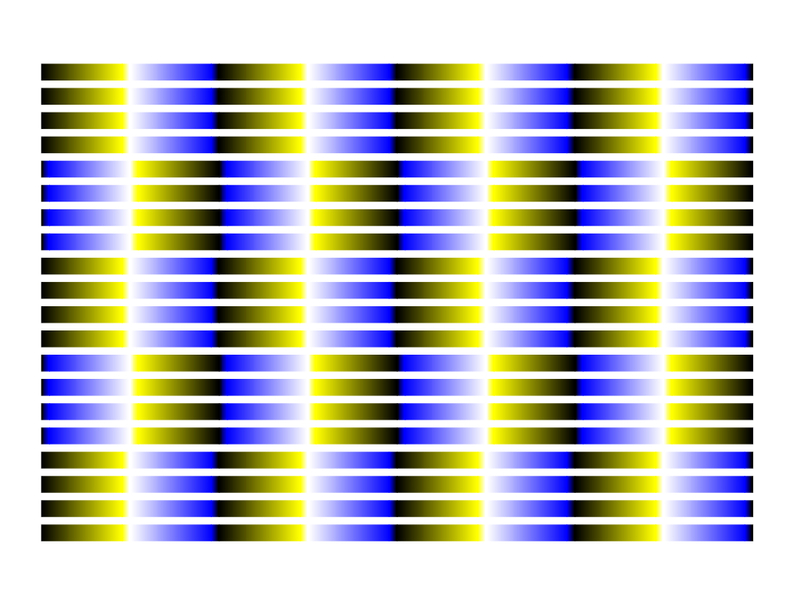 The upper two appear to move rightward while the lower two leftward. 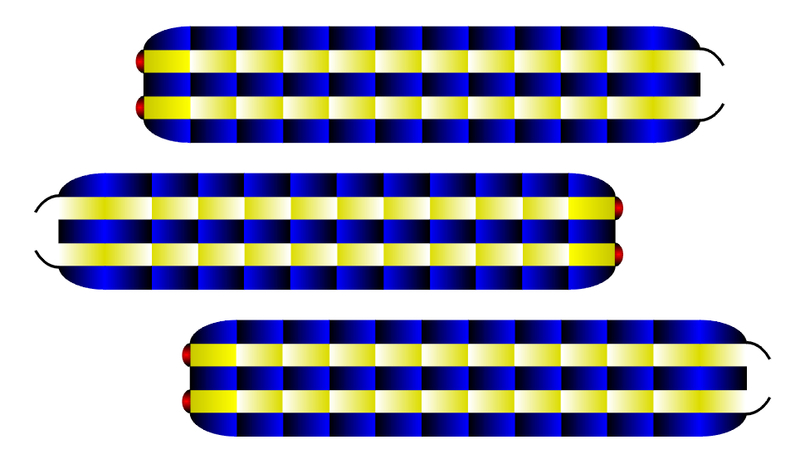 The top and bottom worms appear to move leftward while the middle one rightward. "Superior colliculus and inferior colliculus"
Bright "hills" appear to sway.